This site is all about the casino game 'Wheel of Fortune', also known as Big Six or Money Wheel. Online you'll also find variations such as 'Spin a Win' and 'Wheel of Light' which we've included in our reviews. Spin a Win in the live dealer part of the Casino. 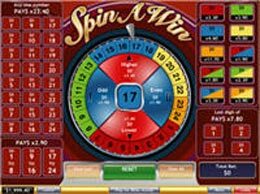 Choose Wheel Spinner in the Table Games section for an interesting range of betting options. Top 10 Online Wheel of Fortune games. Wheel of Fortune Websites Directory - listings of good info and resources we've found around the net. What is the other name of Wheel of Fortune?